“I have always been interested in oval or ovoid shapes. The first carvings were simple realistic oval forms of the human head or of a bird. 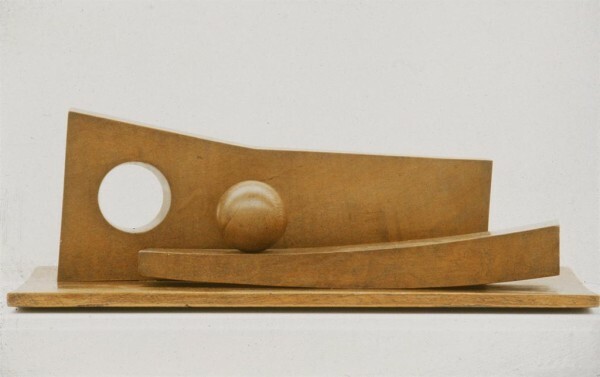 Gradually my interest grew in more abstract values – the weight, poise, and curvature of the ovoid as a basic form. 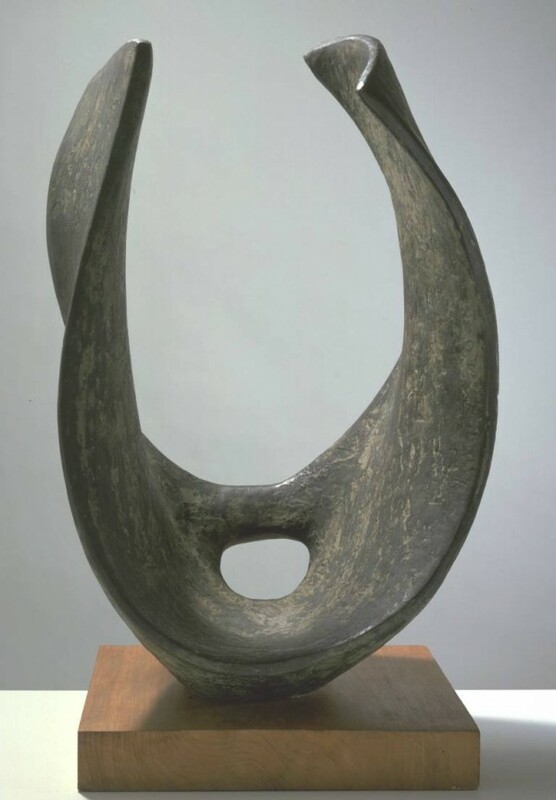 The carving and piercing of such a form seems to open up an infinite variety of continuous curves in the third dimension, changing in accordance with the contours of the original ovoid and with the degree of penetration of the material. Here is sufficient field for exploration to last a lifetime. Before I can start carving the idea must be almost complete. 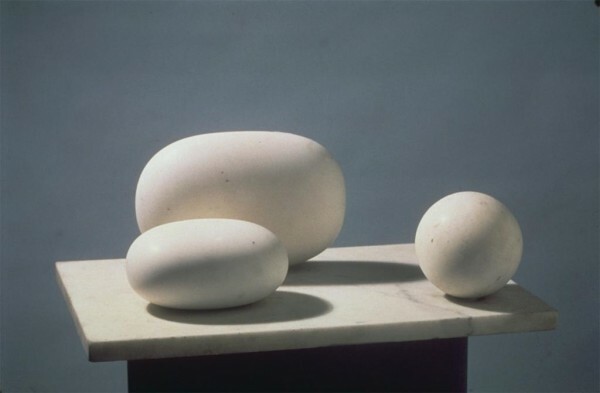 I say ‘almost’ because the really important thing seems to be the sculptor’s ability to let his intuition guide him over the gap between conception and realization without compromising the integrity of the original idea; the point being that the material has vitality – it resists and makes demands. 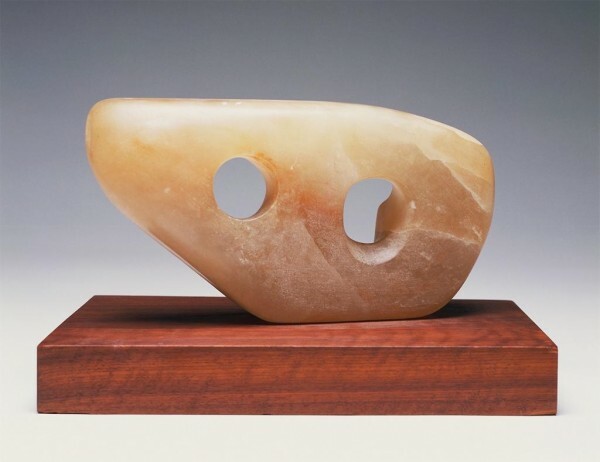 The entry 'Barbara Hepworth' was posted on August 6th, 2013 at 6:07 pm	and is filed under Uncategorized. You can follow any responses to this entry through the RSS 2.0 feed. Both comments and pings are currently closed.